Don’t hustle the fun off to bed when it gets dark — instead, make the most of balmy summer nights with the newest glow-in-the-dark toys. Let kids (and grownups too, ahem) light up the night with these cool new toys that bring sparkle to the dark. 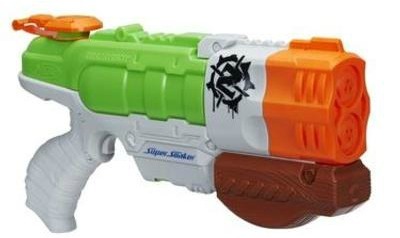 Spring has certainly sprung at Hasbro, and we especially like the new Nerf glow products — both the Super Soaker and FireVision varieties. The Super Soaker Zombie Strike Dreadshot and Splatterblast are oversized water cannons with light-up water tanks for nighttime fun. The Dreadshot, the more diminutive of the two, can hold up to 24 ounces of water and comes with two barrels, while the Splatterblast can hold up to 35 ounces with four barrels and shoot up to 30 feet. Until this season, you needed to don a pair of FireVision glasses to see the glow from any of the FireVision after-dark sports equipment. Happily, starting with the 2015 line of products, all you need are batteries. 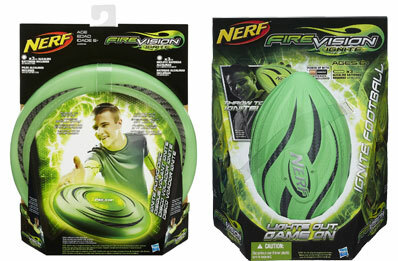 Try the FireVision Ignite Flying Disk, Football or Nerfoop set. 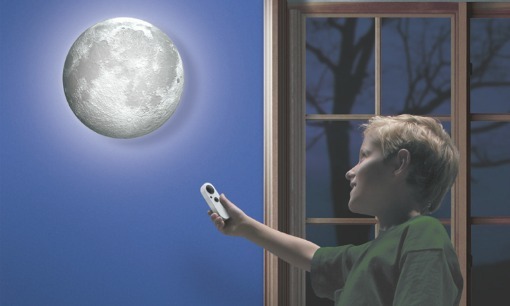 Both educational and awe-inspiring, this realistic Super Moon from Uncle Milton’s Toys’ Moon In My Room line automatically syncs to the cycle of the real thing — every night, right in your child’s room. The new version is 30 percent larger than the original and comes with a solar eclipse light effect and 12 glowing lunar phases activated by the included remote control. Listen to sound bites from the very first lunar landing, or choose soothing nighttime sounds to help kiddos fall asleep under the light of the — well, you know. 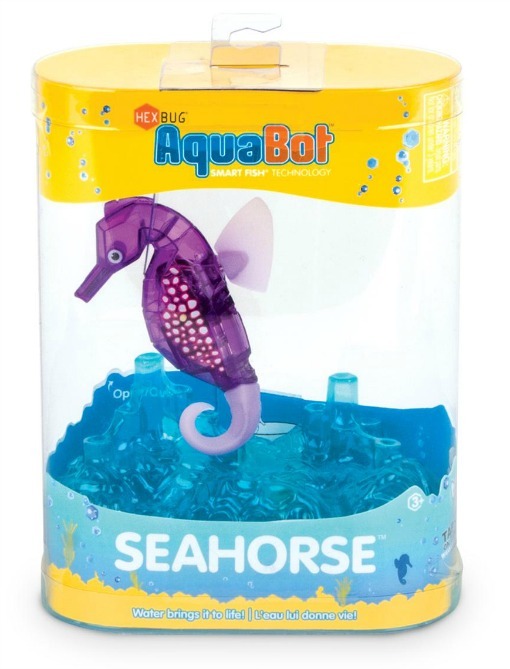 Create a colorful, interactive aquarium with Hexbug’s remote-controlled seahorse and jellyfish. Graceful and sweet, these glowing, robotic sea creatures use buoyancy control to propel them through the water. The seahorse uses its tail to help it swim, and the jellyfish comes with 15 preprogrammed routines. There’s an off/off sensor as well as a sleep mode to help save battery life. Both come in five different colors. 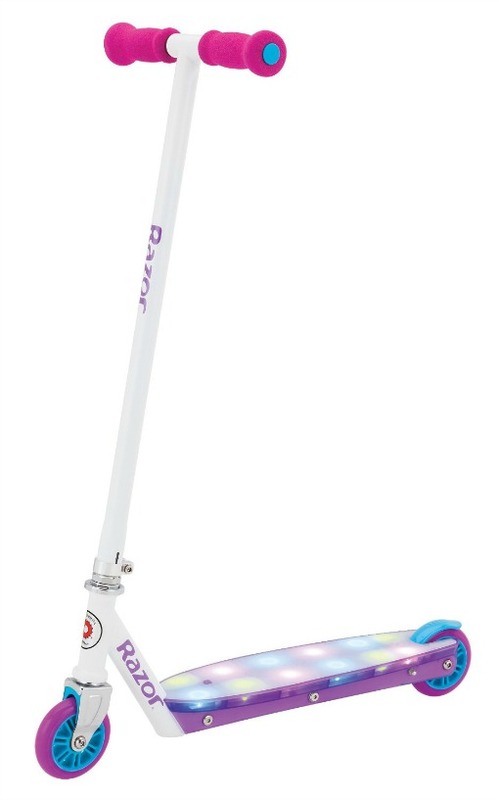 Not your average kick scooter, the Razor Party Pop comes with 12 built-in green, blue and purple lights that pulse whenever you step on the deck to ride. Literally a party on wheels, this scooter is meant for ages six and up and can hold up to 143 pounds.